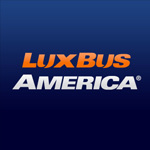 Lux Bus America: Based in Anaheim California, Lux Bus America offers tour and transportation services between Las Vegas, Anaheim, Los Angeles and San Diego. Since July 2003, it has been called the “airline on the ground” by its many satisfied passengers taking the Las Vegas Service. Screening feature films onboard, it is an enjoyable, comfortable ride from the Los Angeles and Orange County, CA markets. The company also provides tour and hotel packages and also sightseeing deals. 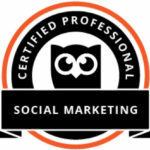 Ian Media has served in producing videos for internal and promotional use, including social media and online marketing. 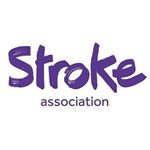 Stroke Association: UK’s leading non-profit support and research organization helping people affected by stroke. With a strong vision and solid commitment, they continue the daily fight against this life altering event. Research, education, and campaign to make important changes in strategies, plus raising awareness, and prevention, are the ongoing work of this selfless group. We were honored to play a small role in helping them fight a good fight. 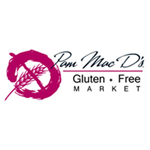 Pam Mac D’s Gluten Free Market: answering the call to a healthy, Gluten-free lifestyle, Pam Mac D’s Gluten Free Market opened its doors in Burbank, CA. in April of 2011 – established by Pam Mac Donald, with a dedicated staff proudly serving the community and people with Celiac disease. We helped with the production of their TV commercials and the launch of targeted TV marketing campaign, locally, reaching Los Angeles area cable viewing homes. Brave New Hollywood: starting out as a passion project by three TV/Film enthusiasts from three corners of the United States, this show-biz website reporting on films, independent cinema, acting and exciting Hollywood projects is gaining in popularity by like-minded fans and the attention of industry insiders, offering exclusive videos featuring views, interviews, and behind-the-scenes reports on the art of film making. 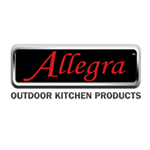 Allegra Outdoor Grills: the latest innovation by American Heating Technologies is their Allegra outdoor kitchen grilling products. Made of stainless steel grills with flame throw ignition system, it is a reliable product for summer, or outdoor events requiring cooking and barbecue. Currently in production by Ian Media are the company’s product demo videos for social media and online marketing use. 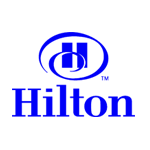 Hilton Hotels, Anaheim: we have shot a variety of events at various Hilton locations nationally. However, it is our association with the Hilton in Anaheim, CA where we have addressed specific marketing objectives with the production of corporate videos both for internal and external use, including social media, and on YouTube, Facebook, Twitter, and beyond. We proudly continue this partnership to this day, where our production team gets the call about a new idea, and springs into creative brainstorming. Meetings with the hotel’s executives, fine-tuning items from concept, to photography, to post-production and delivery, are a part our well-oiled collaborative machine. International Interior Design Association (IIDA): a professional networking and educational organization. With many chapters spread across the United States, and globally, and 13,000 members strong. What we love most about this amazing group is their eye and passion for identifying new talent and supporting the education of such creative minds, and the ongoing pursuit to give, grow, and establish a presence in the design world. We have been lucky to shoot and produce videos celebrating various events by IIDA’s southern California chapter, and shoot related events here in Los Angeles and in other cities, such as Las Vegas, NV, and Phoenix, AZ. 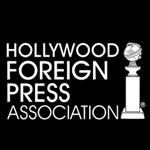 The Hollywood Foreign Press Association (HFPA): formed in 1943, by Los Angeles-based foreign journalist, it is the respected organization that is perhaps better known for its annual glamorous event The Golden Globes, awarding achievements in film and television during their live star-studded telecast. International journalists and photographers that report on the entertainment industry activity and interests in the United States for information outlets (newspaper, magazine and book publication, television and radio broadcasting) predominately outside the U.S. There about ninety members from about fifty-five countries with a combined following more than two hundred and fifty million. It conducts the annual Golden Globe Awards ceremony in Los Angeles every January that honor notable examples or cinema and television and achievements in entertainment business. Canal+: France’s premium pay television channel, active since 1984. The network broadcasts a variety of programming, from original French TV shows and films, sport programs, Japanese anime, Canadian, and Irish TV shows, shows for kids, and entertainment news. American TV shows such as 24, Royal Pains, Cold Case, 30 Rock, Mad Men, and The Daily Show also air on the network. Broadcasting in 1080i HD format, the network is considered a major European broadcasting entity with many sister channels all over the continent. In recent years, we had the privilege to supply this client with showbiz news items from the U.S., and assist with other TV production assignments. ORF: Österreichischer Rundfunk (“Austrian Broadcasting”, ORF) is the Austrian national public service broadcaster. Launched in August 1, 1955, ORF is the dominant presence in the Austrian broadcast media. Austria was the last country in continental Europe after Albania to allow nationwide private television broadcasting. 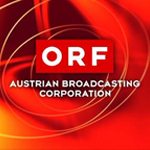 ORF can be seen in its native Austria and also parts of Germany, Italy, Slovenia and Switzerland. Our team was happy to contribute as the go-to U.S. production team for assignments on Seitenblicke and other showbiz, pop culture news segments.